NFL free agency recap: Are the Browns poised to exit the cellar of the NFL? Last Thursday, the NFL’s free agency market officially opened, seeing many of the league’s top free agents signing massive contracts with their respective teams. One of the main teams in play Thursday was the notoriously lowly Cleveland Browns, which entered the 2017 offseason with approximately $100 million in cap space. Now that the Browns have made the majority of their initial moves in free agency, here’s a breakdown of how they did this time around. Following the Chicago Cubs’ world series victory which broke a 108-year drought, the Cleveland Browns have taken their place in sports as the biggest “lovable losers.” It seems like the Browns are on an everlasting journey to find their franchise quarterback and navigate the free agency frenzy effectively, something which they’ve failed to do time after time. After going nine seasons without a winning record, and 14 without a playoff appearance, one could say it’s been a tough stretch for the football team in northeastern Ohio. The Browns finished 2016 with the worst record in the NFL at 1-15. One of the main area’s where the Browns struggled was with run- and pass-blocking on the offensive line. Although they had the ninth best offensive line in the league, they had the league’s worst center in Cameron Erving, and had an obvious need to get better across the board. General manager Sashi Brown was not shy about doling out larger-than-average contracts to ensure that his offensive line got a massive upgrade. He added an estimated $25 million to the team’s 2017 salary cap, and gave out approximately $52.5 million in guaranteed money by rewarding guard Joel Bitonio, center J.C. Tretter and guard Kevin Zeitler with handsome paydays. Although this was an offensive line that needed improvement, many questioned why a team with so many needs across the board spent so much money on the position where injuries tend to pile up, and where players tend to have shorter careers (at least in their prime). That may be a valid argument, but a solid offensive line is the best-kept secret to success for an offense. If anybody has any doubts about this, just take a look at the 2016 Dallas Cowboys, which had the second best rushing offense in the NFL despite the fact that the team had a rookie starting at both running back and quarterback. Even more impressive, and perhaps overlooked, was the fact that the same line, with a few changes, was able to help veteran running back Darren McFadden to his second 1,000-yard yard season in 2015. McFadden has suffered several brutal leg injuries throughout his career, most notably the Lisfranc sprain he sustained while with the Oakland Raiders in 2012, which forced him to miss the entire second half of the season. Although one could make the argument that the Cowboys built their strong offensive line through the draft, this is a particularly poor draft class at the offensive line positions. Additionally, the Browns have pressing needs at several other positions which the class is strong in, most notably cornerback. Although it may be easy for Browns fans to envision all three players either underperforming, being injured for the majority of their time in Cleveland or just being another batch of poor signings, the reality of the situation would indicate otherwise. Both Bitonio, who will turn 26 next season, and Zeitler, 27, are well on the left side of 30 years old, and all indicators would point to them being in the prime of their career. Four of the NFL’s top five offensive guards in 2016 (according to Pro Football Focus) — Kelechi Osemele of the Oakland Raiders, Justin Pugh of the New York Giants, Zack Martin of the Dallas Cowboys and David DeCastro of the Pittsburgh Steelers — are all in the same age range and are expected to do just as well, if not better, next season. Zeitler happens to be the sixth-highest ranked offensive guard. The Browns were able to add another rock-solid addition to a offensive line which already features a top-five tackle in Joe Thomas. In addition, they improved their center position by adding a guy like Tretter, who would’ve likely made the top-25 offensive lineman ranking had his season not been cut short by injuries. In reality, their offensive line should take loads of pressure off whoever’s lining up under center come fall. Despite the fact that the Browns threw out wads of cash like it grew on a tree to improve their offensive line and make it one of the best in the league (at least on paper), many Cleveland fans still remained pessimistic about their team’s outlook, particularly at the quarterback situation heading into 2017. Their worries aren’t without reason: it’s been a proven fact that winning in the NFL without a quarterback is nearly impossible, especially for the Browns. After a very shaky rookie campaign from quarterback Cody Kessler, most fans were calling for yet another upgrade at the position. Perhaps the most puzzling move of the day was when the Browns took on the $16 million per-year cap hit of disappointing quarterback Brock Osweiler’s salary in return for essentially a 2018 second-round draft pick. Although the trade may have come as a surprise, this was yet another situation where many people got so caught up thinking about the Browns’ past that they had trouble coming down to earth and looking at the situation realistically. Even though the Browns endured a massive cap hit for just a draft pick, if we’ve learned anything about football in the past decade, quarterback is debatably the most important position to have depth at. Time after time we’ve seen teams’ seasons completely derailed because of an injury at the quarterback position — most recently with Derek Carr in Oakland and, to a lesser scale, with Marcus Mariota in Tennessee. Although Osweiler may not be Peyton Manning (although he did back him up in Denver), or even the starting quarterback of the future, he at least is someone the Browns coaching staff should be, at minimum, remotely confident putting in, in the event of an injury. Despite the fact that Osweiler’s had a shaky career, at least it’s widely known what he’s capable of in an NFL game. This isn’t something you can say about Kessler. In fact, recently several young quarterbacks have actually shown regression as their careers progressed. The most recent example of this happening is Jacksonville Jaguars quarterback Blake Bortles whose quarterback rating dropped from 88.2 to 78.8 between his sophomore campaign and third season. These stats don’t speak enough for themselves in Bortles case, as he threw several key interceptions in games down the stretch against the Denver Broncos, Houston Texans and Kansas City Chiefs. Because of this, having a veteran quarterback with starting experience is a luxury that the Browns need to utilize, especially with a player of Osweiler’s caliber. It becomes even more important when you have a unbroken, young quarterback like Kessler on the roster. More times than not, when a quarterback is injured in a game, fans will hold their breath and write the game off, while coaches will hope that the next guy up can shake off the rust enough to allow them to keep their job. Osweiler should be able to run the Browns’ offense and make use of their weapons if thrown into game action. Browns fans should also be more confident seeing Osweiler takeover than any of their current backup quarterbacks on the roster — Kessler or Kevin Hogan. I’d even take it a step further and say they’d rather have him as their primary backup than the majority of the backup quarterbacks in the NFL. Additionally, Osweiler’s massive $16 million cap hit in 2017 is something the Browns can afford as they still have an estimated $56 million in cap space following the move. As it is, these words may have less meaning than a typical late-season Browns game, as many sources expect Osweiler to be cut or traded before the season starts. The only Browns move thus far that I felt should be under question was the failure to re-sign one-year wonder, and recently-turned wide receiver, Terrelle Pryor. Although the Browns stayed firm to their contract offer throughout negotiations, and ultimately signed a big-name player at the the position in Kenny Britt, it remains a mystery to me why they wouldn’t aim to have one of the elite receiving corps in the league, especially with so much cap space. With a disappointing rookie season from 2016 first round pick Corey Coleman, and uncertainty surrounding Josh Gordon’s reinstatement, why not try aim for the sure thing? By signing Britt and Pryor the Browns could’ve had two receivers coming off 1,000-yard receiving seasons, and could’ve exploited defensive mismatches left and right (literally). This move also would’ve taken away, or minimally hindered opponents’ abilities to double-team and provide over-the-top help since there would’ve been two top receivers and legitimate deep-ball threats. Because of the lack of help, re-signing Pryor could’ve helped increase production from Britt and vice-versa. It also would’ve also allowed for greater development in Coleman at the slot receiver position, where he likely would’ve been able to thrive. The move would’ve inevitably opened up tight end Gary Barnidge and whoever else the Browns add to their roster at the tight end position for the underneath routes. Even if the Browns overpaid for Pryor’s one year of production at the wide receiver position, and gave him a deal closer to what wide receiver DeSean Jackson received from the Tampa Bay Buccaneers than what they gave Britt, the move still likely would’ve paid off. No matter how you look at the situation, the positives of re-signing Pryor outweigh the negatives. The Browns are going into the season with one legitimate, proven receiving threat at the position. That has to be unsettling. Although this move is debatable, Browns fans should be optimistic about what’s to come. 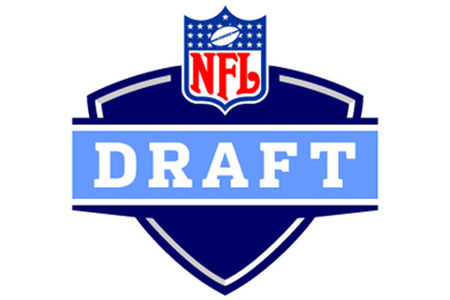 Especially following the key free agent signings, the stockpile of draft picks the team has in the next two years should be enticing — when the influx of talent streaming into the NFL is expected to be aplenty. 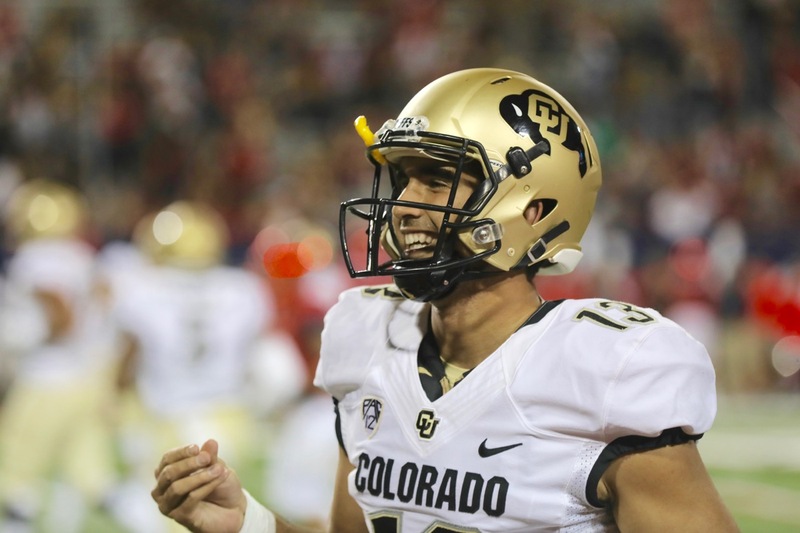 Contact CU Independent sports staff writer Jack Stern at jack.stern@colorado.edu.